Friendly service. Comfortable beds. Great reception. Corporate travelers will appreciate conveniences like access to copy and fax services and a public computer with Internet access. All guest rooms come equipped with refrigerators, microwaves, coffee makers, curved shower rods, flat-screen televisions, voice mail, hair dryers, irons, ironing boards and cable television. Ask about rooms with whirlpool bathtubs. Non-smoking rooms can be requested. Laundry facilities are located on the property for your added convenience.The Comfort Inn & Suites hotel offers a convenient interstate location, walking distance from the VF Factory Outlet mall. 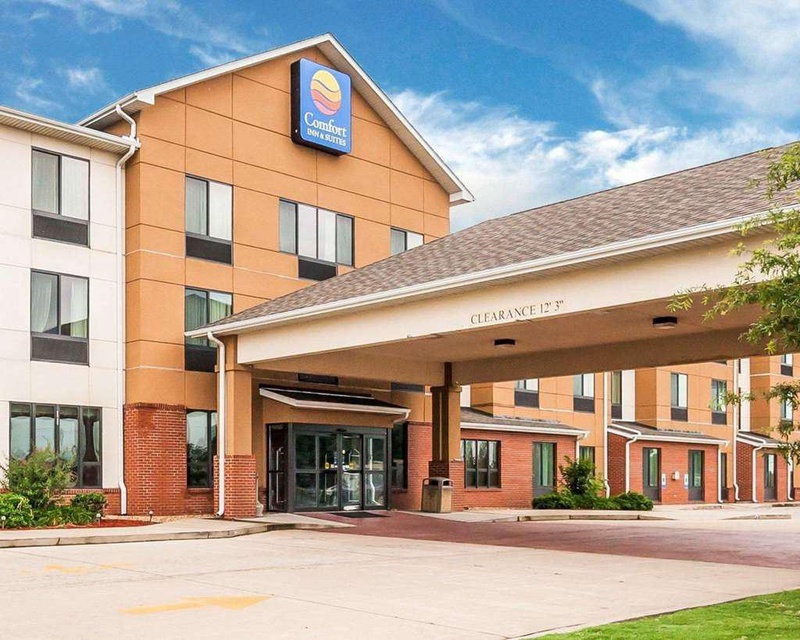 This Sikeston, MO hotel is minutes from points of interest like Bootheel Golf Club, the historic Sikeston Depot, Veteran's Park and Beggs Family Farm. One of southeast Missouri's most popular stops, you must make time to enjoy the famous "throwed rolls" at Lambert's Cafe. This popular restaurant offers an inviting atmosphere with generous portions of down-home entrees, but keep your head up for the hot, tasty rolls flying through the air. Historic downtown Sikeston offers cobblestone streets and plenty to see and do, including historic landmarks, museums, art galleries, retail shops and businesses. A variety of restaurants are located in the downtown area as well. Next to outlet malls. Parking close to. Great location. Amazing staff. Cool owner. Easy check in and out. New towels. New flooring. Lobby area nice. Clean rooms. Bed was comfortable. Room vacuumed. Buzzing noise. Beds comfortable. Big room. Nice hot breakfast. Awesome breakfast. Great breakfast. Clean place to stay. Clean facilities. Dirty Blanket.